One of the distinguishing hallmarks of the drive to declassify the 28-page finding on foreign government support of the 9/11 hijackers is the absence of vocal opposition. That’s not to say there are no opponents—only that they are working quietly and effectively behind closed doors. Like many other countries, Saudi Arabia has invested heavily in building influence within American shores, and that influence may be a big reason why Barack Obama hasn’t reversed George W. Bush’s extraordinary redaction of 28 consecutive pages of a Congressional intelligence report, and why most of our federal legislators haven’t even bothered reading those pages despite the strong urging of peers who have. One relatively new pillar in Saudi Arabia’s influence infrastructure illustrates its strength. 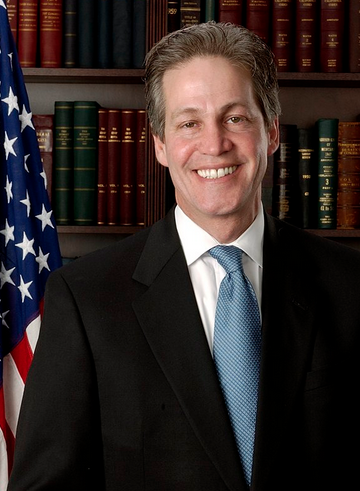 In September, The Nation’s Lee Fang—in a piece outlining the remarkable depth and breadth of the Saudi web of influence—revealed that Saudi Arabia had made an eyebrow-raising addition to its army of lobbyists: Norm Coleman, former United States senator and current chair of the Congressional Leadership Fund, a prominent Republican super PAC. The hire breaks new ground, writes Fang, as Coleman “appears to be the first leader of a significant Super PAC to simultaneously lobby for a foreign government.” The move also reveals cringe-inducing hypocrisy: In 2005, Coleman signed a letter condemning Saudi Arabia for fostering Islamic extremism around the world, and today he serves on the board of the National Endowment for Democracy. The pressure on scholars isn’t always indirect: Some “donations” are accompanied by an explicit quid pro quo understanding that the think tank will advance the interest of its foreign state benefactor. According to a Times infographic, Saudi Arabia has given money to many of the think tanks that journalists and policymakers turn to for analysis, including The Atlantic Council, Brookings Institution, the Middle East Institute and the Center for Strategic and International Studies (CSIS). Considering Saudi Arabia’s think tank sponsorship, it’s no wonder that 28Pages.org is only aware of one occasion where one of these influential entities has allowed an analyst to use its platform to promote the release of the 28 pages: Last month at the American Enterprise Institute, Michael Rubin urged their release and implored journalists to make the 28 pages a 2016 campaign issue. Saudi Arabia’s reasons for wanting the 28 pages kept secret are clear, but what about America’s intelligence community? Actually, its motives are likely identical: Shielding itself from public humiliation and the consequences that would accompany it. The intelligence community would have us believe that publishing the 28 pages would somehow pose a threat to national security, a notion that’s been pointedly rebutted by many who’ve read them, including former Senate intelligence committee chairman Graham. Secrecy about American intelligence agencies’ performance before and after the 9/11 attacks stretches far beyond the 28 pages. Perhaps the most prominent example of that broad veil relates to a 9/11 hijacker cell in Sarasota: Graham says the FBI failed to disclose its knowledge of that cell to the joint congressional intelligence inquiry he co-chaired. 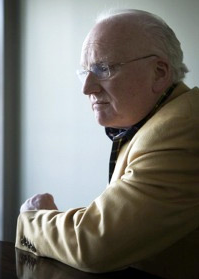 When the cell later came to the attention of investigative journalist Dan Christensen at FloridaBulldog.org, the FBI first denied that it found any connection between 9/11 hijackers and a wealthy Saudi family that suddenly fled the country two weeks before September 11, and then denied it had any documentation of its investigation. Now we know the FBI indeed found direct links between that family and the hijackers, and a federal judge is studying more than 80,000 pages of FBI documents relating to the Sarasota investigation for potential release in a Freedom of Information Act lawsuit. The CIA may want the 28 pages kept secret, too. Richard Clarke, who was the White House’s counter-terrorism czar in the Clinton and Bush administrations, says the CIA never told him that two known Al Qaeda operatives were living in southern California under their own names. Considering the San Diego cell figures prominently in the joint inquiry report, the 28 pages may shed light on the CIA’s motives for its history-altering failure to inform Clarke or the FBI or elaborate on what disaster-averting information the CIA had and didn’t share. Like the CIA, the NSA also knew about the San Diego-based hijackers well before September 11. Keeping the 28 pages under wraps may serve the agency in its fight to preserve the post-9/11 mass surveillance programs revealed by Edward Snowden: If the 28 pages amplify the fact that the government had all the information it needed to thwart the 9/11 attacks without those controversial programs, the NSA’s arguments would be further weakened. Amid all this discussion of the actions and inactions that enabled the terrible loss of life on 9/11, one shouldn’t lose sight of the fact that lives continue to hang in the balance—and the fact that former Senator Graham and current Congressmen Walter Jones, Stephen Lynch and Thomas Massie have all said that declassifying the 28 pages is imperative to understanding and countering the ongoing terror threat. According to Graham, shielding Saudi Arabia from scrutiny of its role in 9/11 has emboldened the kingdom to continue its sponsorship of extremism and, in the process, enabled the rise of ISIS. 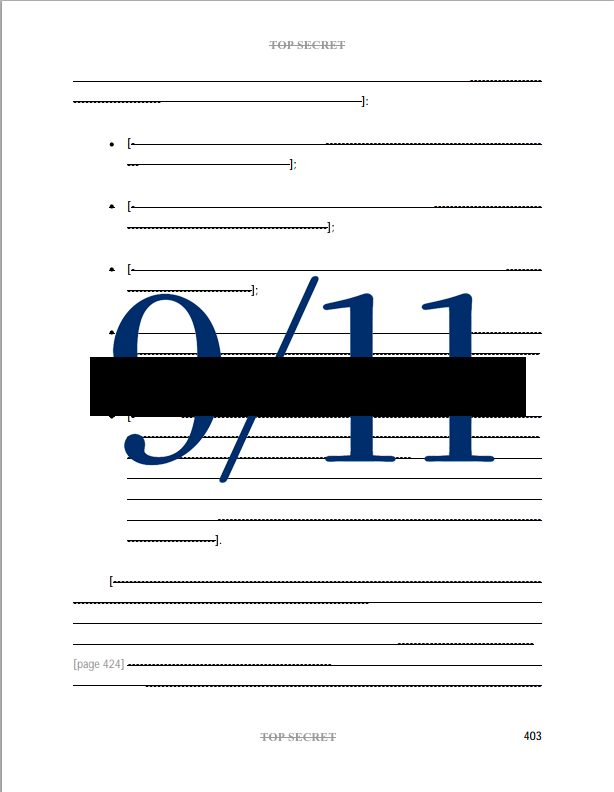 If so, the continued censorship of the 28 pages has cost more lives around the world than were lost on September 11, 2001—and with growing U.S. involvement in the fight against ISIS, American lives could become increasingly imperiled. Americans may not be surprised that a faraway monarchy would be willing to gamble the lives of innocents in a bid for continued power, but they should be deeply troubled that the U.S. intelligence community would—wittingly or not—make the same deadly bargain. By shielding themselves from the oversight that’s vital to our system of government, our national security agencies also shield Saudi Arabia from accountability. In so doing, they endanger the very lives they’re charged with saving. Help release the 28 pages: Call or write to Congress today with our help. Follow us on Facebook and Twitter and grow the 28 pages movement. While much of the speculation about the contents of the 28 classified pages from a 9/11 intelligence inquiry center on the secret activities of foreign governments, there is growing scrutiny on the secret activities of our own government—specifically, its investigation of the terrorists both before and after the attacks. 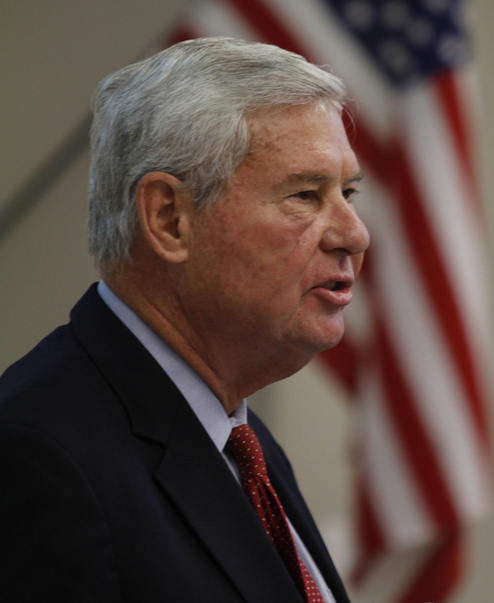 Television station WTSP, which serves Sarasota and Tampa Bay, aired a very insightful report last week in which investigative reporter Mike Deeson talked to former Senator Bob Graham and dug deep into the FBI’s concealment of its investigation of the Sarasota 9/11 terror cell. You can watch it here. Finally in his book, Graham describes a letter from a member of the FBI’s congressional staff explaining the Bureau had been uncooperative on orders of the administration. “We were seeing in writing what we had suspected for some time. The White House was directing the coverup. This story and the new piece by Wright strongly suggest the President, Vice President and head of the FBI were engaged in obstruction of justice. If so, that would call for the convening of a federal grand jury. Would the Justice Department, which runs the FBI, do that? Probably not.